Compare Car Hire at Ponta Delgada Airport. Get Cheaper MPV, SUV, Estate & 7 seat Minivan rental rates. Save on MPV and SUV car hire at Ponta Delgada Airport in the Azores. We also have estate and station wagons as well as minivans that can seat 7 and 9 passengers. Ponta Delgada is on the island of Sao Miguel in the Azores, Portugal. Ponta Delgada is good for shopping for local produce and souvenirs. For day trips consider the nearby towns of Arrifes, Faja de Baixo, Nordela and Relva. The city extends from the heart of the island, right into its western coast. 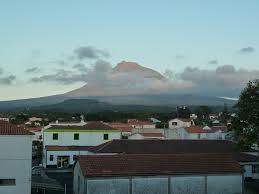 The place, best seen buy hire car, is a tourist capital, found at the centre of the Azores. Visitors usually come here for a beach vacation and to enjoy the festivities. If ever you are headed for this part of the Azores, be sure to add the Sao Sebastiao parish church to your itinerary. Also, drop by the Carlos Machado Museum. Ponta Delgada is an island filled with lakes, volcanoes, and beaches. The place is also famous for Furna, a spa resort that is filled with thermal pools, steam vents, boiling mud, and hot springs. This is all courtesy of the active geothermal activities happening in and around the area. This is the main gateway to the Azores Portugal. The full name is Ponta Delgada Joao Paulo II Airport. The three letter IATA airport code is PDL. The town of Ponta is the island's largest city and is worth stopping off for a few hours to explore and shop for souvenirs. Nearby towns are Arrifes, Faja de Baixo, Nordela and Relva. The airport of Ponta Delgada is located less than 3 km from the city centre. Taxi stands are inside the airport perimeter, located outside arrivals. Telephone (+351) 296 302 530 (H24). Most major rental companies have desks in the arrivals hall with car on airport. Please pre-book if arriving in high season and avoid delays. Compare l cheaper vehicle rentals in Azores. Book your SUV or MPV early for best savings. Get discounted minivan rental at Ponta Delgado Airport. If collecting your hire car out of hours, we can provide a meet and greet service. If you are in the Azores on business and need to make a good first impression, why not rent from our prestige, or luxury line, of vehicles such as the Saab 9-3 convertible or the BMW X5 4x4 automatic? Moving around and need to checkcar hire on Portugal or Madeira. 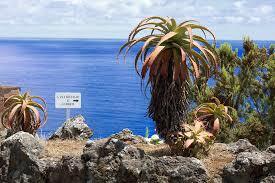 Or perhaps staying on the Azores and we can we also help on the other Azores islands?